The best solution for commercial solar Boulder has to offer is now sitting right in front of your very eyes. 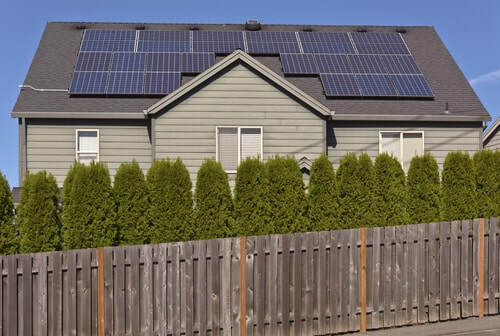 Here at Flatiron Solar we not only have the experience that you seek, but our knowledge of the products as well as the installation is second to none. With years in the industry, our team have the skills that will mean that no issue or problem will remain unsolved simply because we have encountered it all. With highly-trained engineers that are fully versed on every aspect of the technology, no stone will be left unturned when it comes to getting you the best solution for your commercial solar power needs. Remember, this is not just for residential because why should your business be missing out on all of this? Previously, commercial solar installation was seen as being expensive and simply not worth the time or effort. However, with advances in the technology that have driven down prices while pushing up efficiency ratings, that is no longer the case. Instead, now is the perfect time for your commercial property to turn over to this greener source of energy as there is no doubt that the benefits do indeed outweigh the negatives. But then, when it comes to professional commercial solar installation, then you still want to know that you are indeed getting real value for money from the outset. Our team will work closely with you to ascertain as to what your budget may be and how to get the best system for the best price. After all, we want you to be fully content with your move to solar energy and that is where our experience really does come into its own. From the initial understanding of what it is that you require, to matching you up to the correct system to deliver on those needs, to the actual installation, you will be in safe hands every step of the way. However, we do not rest there because, for us, there is a very real need to maintain the equipment to make sure that it continues to deliver from an efficiency point of view simply because without it you will not be getting real value for money, which is always important for us with every client. So, if you are a commercial business, or own a commercial property and you wish to switch over to a form of energy that is green and capable of earning back your investment due to the savings that have been made, then this is your answer. Give us a call here at Flatiron Solar and see how we can help when it comes to turning your commercial over to this new form of energy. Forget what you may have read or experienced in the past as things have changed. Now, with lower costs and better technology, it is the best time possible for making that move.